See the amazing warship 'camouflage' that dazzled the enemy, not by hiding the ship, but by tricking the eye. Animals use camouflage to blend into their environments. Having similar colourings or patterns to their surroundings makes them hard to see. In warfare, the same technique is applied to tanks and soldiers. Their colour schemes change depending on the terrain. But during two World Wars, an entirely different sort of camouflage was used at sea. 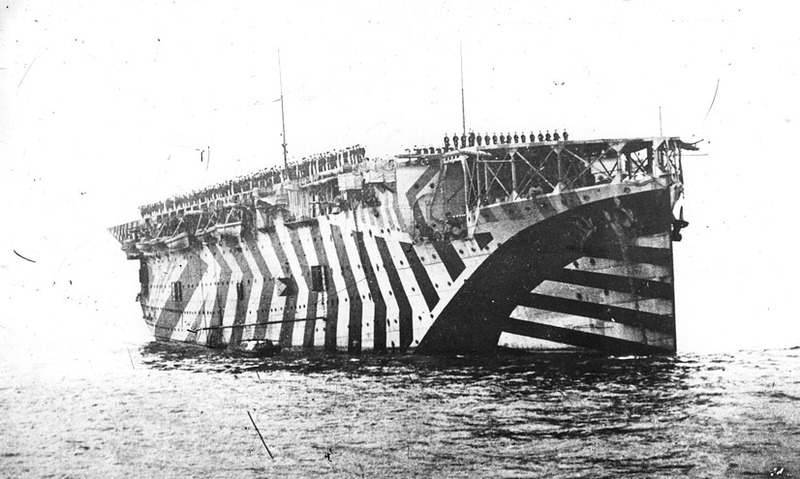 Warships were painted in dazzle camouflage patterns. This was not an attempt to hide the ships, but to create an optical illusion and confuse the enemy. During World War One, the speed and direction of a ship were estimated by looking at its hull. This was then used to determine where it was heading, so that torpedoes could be aimed at this spot. Dazzle camouflage made it difficult to predict exactly where the ship was heading. These model ships have been painted with dazzle camouflage. The block colours make it difficult to be certain which way the ships are facing. This is a clever use of perspective. At a distance, it's hard to tell whether the block colours are on a three-dimensional shape, or are a cleverly painted pattern on a two-dimensional surface. This meant that the patterns could confuse the enemy. But the effectiveness of dazzle camouflage diminished as technology advanced, and fewer weapons relied on human observation. 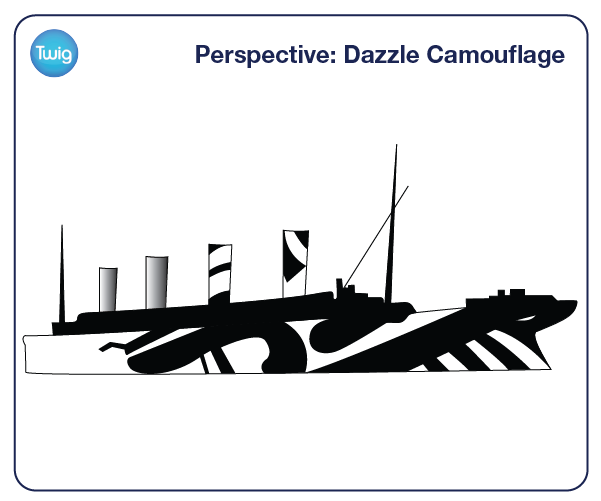 So while dazzle camouflage saved many ships from destruction during the World Wars, today's warships are much plainer than their older, more dazzling counterparts.